A 2012 study found that on average, bottled water costs about $1.22/gallon nationwide and 300x the cost of a gallon of tap water. Plus most bottled water is sourced from tap water. Let us repeat that…. Tap water! — not filtered, and not from some magical source. So what are you paying for? Marketing and the illusion that bottled water is safer than tap water. The truth is that municipal tap water is regulated by the EPA which has strict authority for oversight and requirements of testing by certified labs. Water bottlers are regulated by the FDA which provides no greater water safety than tap water (U.S. Government Accountability Office 2009). It's easy and cheap to take great-tasting water with you wherever you go. Just choose reusable bottles and filter your own water at home, either with a filter pitcher or filter on your faucet. Install energy-efficient filters on your faucets and reuse sanitized, purchased water bottles. Get the full story on drinking water — sources, safety, use, filtering and more — in the EPA’s Water on Tap: What You Need to Know. Find out where the water in your Montgomery County home comes from and what’s in it. Read the latest Washington Suburban Sanitary Commission's Water Quality Report. 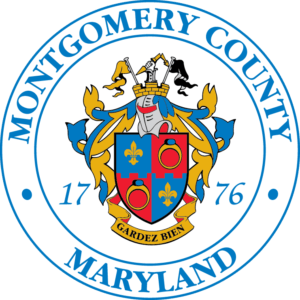 Review the official water Consumer Confidence Reports from the Maryland Department of the Environment for different Montgomery County water systems. Check out the Take Back the Tap Guide to Home Tap Water Filtration from Food & Water Watch. Find a water quality lab certified by the Maryland Department of the Environment to test the water at your tap; this is especially important if you are on a well. Read this article from the Natural Resources Defense Council to learn what’s in bottled water, and the key differences in the way bottled water and tap water are regulated. How do I know if my tap water is safe and OK to drink? The first step is to review your water utility’s annual report. Those reports, though, are about the water system as a whole. Your pipes and other factors can affect what comes out of your tap. To know for sure — or if you’re on a well — you need to hire an independent lab to do an analysis. Check this list of labs certified by the Maryland Department of the Environment. I don’t like the taste of my tap water. How can I make it taste better? Most at-the-tap and pitcher filtration systems will improve the taste of your water, and many remove harmful contaminants as well. See this EPA fact sheet on water filters to learn how they work and what contaminants they remove. Is it really worth it to use a filtration system? Aren't they expensive? A basic filtration system, either attached to your faucet or a filter pitcher, typically costs less than $100 per year. If your family buys 4 bottles of water a week at a price of $1.00, the pitcher can pay for itself in less than 6 months - and many households buy a lot more bottled water than that! Is tap water really safe with all the medications that get flushed down the drain? There are pharmaceutical medications that are entering our waterways for many reasons. These include medications passing through our bodies and going into the sewer system, external drugs washing off in the shower, and unused medicines placed in the trash. The EPA has done research into how this could affect people's health. So far the EPA has said that there is very low to no risk because the concentration is so small. However, they plan to continue to do studies to ensure our drinking water stays safe. There are no outside financial incentives to help pay for water filters, bottles, and reusable straws. But, we suggest calculating how much you spend each week on buying disposable water bottles. For many of us, that can add up quickly (in the summer, you’re looking at more than $10 a week!!). If you use that money to buy a filter or water bottle, you’ll be saving money in no time.